This is a great article written by UM Communications and featured on the UMC website. 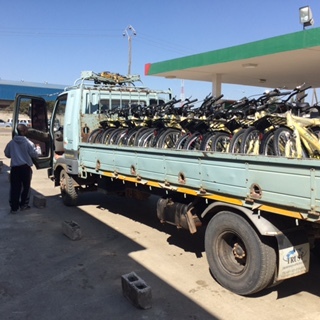 The article is about local pastors in Africa – the kind of pastors provided bikes and bibles. The article tells of one such pastor who has income of $140 a month. Table with bibles in local language distributed to the district superintendents for delivery to their pastors. 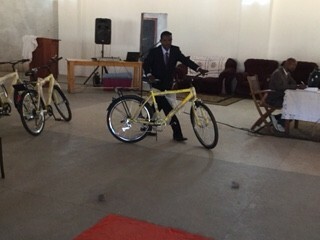 Bishop John Innis prays over the bible distribution and the bike distribution. 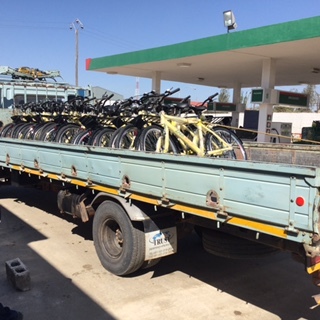 Also, the white packages are boxes of 4 bicycles each to be carried by the district superintendents to rural areas. This picture speaks a thousand words to me. The hard work necessary to earn a small amount, for life, for family, for a future. Acceptance of the hand we are dealt, yet hope for tomorrow. A belief that God has a plan for a complete salvation.